The idea that human beings and chimps have close to 100% similarity in their DNA seems to be common knowledge. The figures quoted vary: 97%, 98%, or even 99%, depending on just who is telling the story. What is the basis for these claims and do the data mean there really is not much difference between chimps and people? Are we just highly evolved apes? Similarity (‘homology’) is not evidence for common ancestry (evolution) as against a common designer (creation). Think about a Porsche and Volkswagen ‘Beetle’ car. They both have air–cooled, flat, horizontally–opposed, 4–cylinder engines in the rear, independent suspension, two doors, boot (trunk) in the front, and many other similarities (‘homologies’). Why do these two very different cars have so many similarities? Because they had the same designer! Whether similarity is morphological (appearance), or biochemical, is of no consequence to the lack of logic in this argument for evolution. If humans were entirely different from all other living things, or indeed if every living thing was entirely different, would this reveal the Creator to us? No! We would logically think that there must be many creators rather than one. The unity of the creation is testimony to the One True God who made it all (Romans 1:18–23). If humans were entirely different from all other living things, how would we then live? 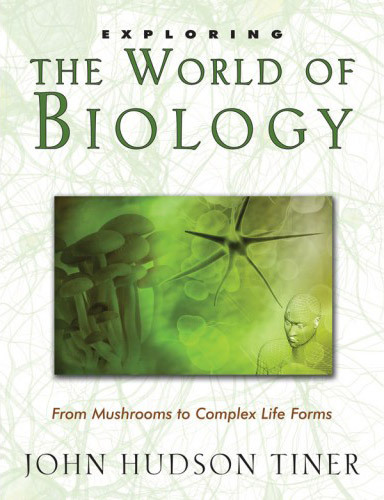 If we are to eat food to provide nutrients and energy to live, what would we eat if every other organism on earth were fundamentally different biochemically? How could we digest them and how could we use the amino acids, sugars, etc., if they were different from the ones we have in our bodies? Biochemical similarity is necessary for us to have food! We know that DNA in cells contains much of the information necessary for the development of an organism. In other words, if two organisms look similar, we would expect there to be some similarity also in their DNA. The DNA of a cow and a whale, two mammals, should be more alike than the DNA of a cow and a bacterium. If it were not so, then the whole idea of DNA being the information carrier in living things would have to be questioned. Likewise, humans and apes have a lot of morphological similarities, so we would expect there would be similarities in their DNA. Of all the animals, chimps are most like humans,1 so we would expect that their DNA would be most like human DNA. Certain biochemical capacities are common to all living things, so there is even a degree of similarity between the DNA of yeast, for example, and that of humans. Because human cells can do many of the things that yeast can do, we share similarities in the DNA sequences that code for the enzymes that do the same jobs in both types of cells. Some of the sequences, for example, those that code for the MHC (Major Histocompatibility Complex) proteins, are almost identical. What of the 97% (or 98% or 99%!) similarity claimed between humans and chimps? The figures published do not mean quite what is claimed in the popular publications (and even some respectable science journals). DNA contains its information in the sequence of four chemical compounds known as nucleotides, abbreviated C,G,A,T. Groups of three of these at a time are ‘read’ by complex translation machinery in the cell to determine the sequence of 20 different types of amino acids to be incorporated into proteins. The human DNA has at least 3,000,000,000 nucleotides in sequence. Chimp DNA has not been anywhere near fully sequenced so that a proper comparison can be made (using a lot of computer time to do it—imagine comparing two sets of 1000 large books, sentence by sentence, for similarities and differences!). Where did the ‘97% similarity’ come from then? 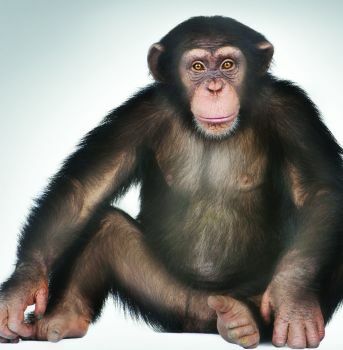 It was inferred from a fairly crude technique called DNA hybridization where small parts of human DNA are split into single strands and allowed to re–form double strands (duplex) with chimp DNA.2 However, there are various reasons why DNA does or does not hybridize, only one of which is degree of similarity (homology).3 Consequently, this somewhat arbitrary figure is not used by those working in molecular homology (other parameters, derived from the shape of the ‘melting’ curve, are used). Why has the 97% figure been popularised then? One can only guess that it served the purpose of evolutionary indoctrination of the scientifically illiterate. Interestingly, the original papers did not contain the basic data and the reader had to accept the interpretation of the data ‘on faith’. Sarich et al.4 obtained the original data and used them in their discussion of which parameters should be used in homology studies.5 Sarich discovered considerable sloppiness in Sibley and Ahlquist’s generation of their data as well as their statistical analysis. Upon inspecting the data, I discovered that, even if everything else was above criticism, the 97% figure came from making a very basic statistical error—averaging two figures without taking into account differences in the number of observations contributing to each figure. When a proper mean is calculated it is 96.2%, not 97%. However, there is no true replication in the data, so no confidence can be attached to the figures published by Sibley and Ahlquist. There are many scientists today who question the evolutionary paradigm and its atheistic philosophical implications. There are not many scientists today who question the evolutionary paradigm and its atheistic philosophical implications. These sentences have 97% homology and yet have almost opposite meanings! There is a strong analogy here to the way in which large DNA sequences can be turned on or off by relatively small control sequences. The DNA similarity data don’t quite mean what the evolutionary popularizers claim! Ed. note: the point of this article was to refute one widely parroted ‘proof’ that humans evolved from apes, as should be clear from the title. 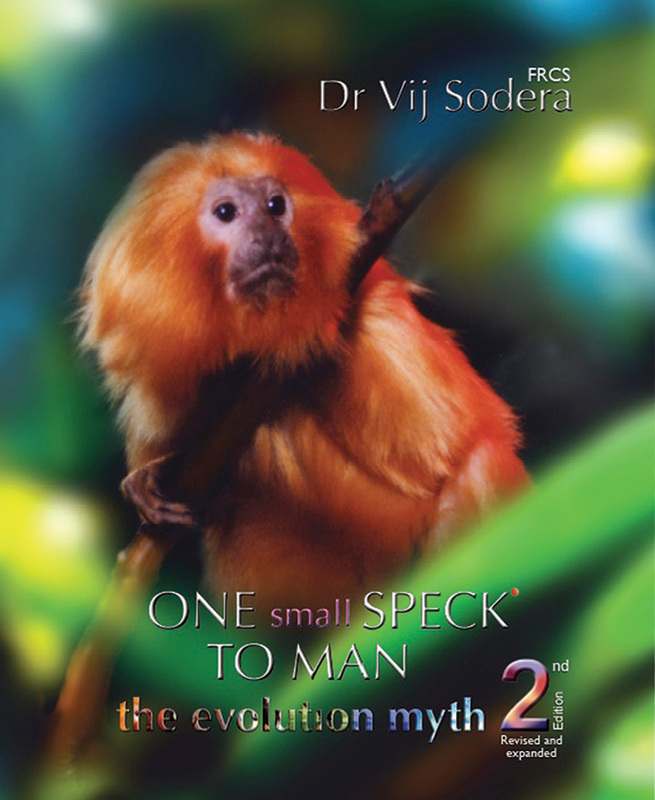 It was simply beyond the scope of a single Creation magazine article to deal with all other ‘proofs’ of human evolution, although, amazingly, some atheistic sceptics have attacked this article for this alleged failing! But see Q&A: Anthropology (human ancestry, alleged ape-men) for addressing issues like alleged fossil ‘ape–men’. However, Jeffrey Swartz, an evolutionary anthropologist at the University of Pittsburg, maintains that man is closer to orangutans in gross morphology. Acts and Facts, 16(5):5, 1987. Return to text. Sibley and Ahlquist, 1987, J. Molec. Evol. 26:99–121). The resulting hybrid duplex material is then separated from single–strand DNA remaining and heated in 2 to 3 degree increments from 55o to 95o C, and the amount of DNA separating at each temperature is measured and totalled, comparing it to human–human DNA re–formed as duplex. If 90% of the human DNA is recovered with heating from the human–chimp hybrid, compared to the human-human DNA, then there is said to be 90% normalised percentage hybridisation. Return to text. Sarich et al. 1989. Cladistics 5:3–32. Return to text. Molecular homology studies could be quite useful to creationists in determining what were the original created ‘kinds’ and what has happened since to generate new species within each kind. For example, the varieties / species of finch on the Galápagos Islands obviously derived from an original small number that made it to the islands. Recombination of the genes in the original migrants and natural selection could account for the varieties of finch on the islands today—just as all the breeds of dogs in the world today were artificially bred from an original wild dog/wolf kind not long ago. It is interesting that molecular homology studies have been most consistent when applied within what are probably biblical kinds and contradict the major predictions of evolution regarding the relationships between the major groups such as phyla and classes (see ref. 6 regarding the latter). Return to text. Denton, M., Evolution: Theory in Crisis. (Burnett Books, London), 1985. Return to text. Haldane’s Dilemma recognises the problem for evolutionists of getting genetic changes in higher organisms, especially those which have long generation times. Due to the cost of substitution (death of the unfit) of one gene for another in a population, it would take over 7x1011 years of human–like generations to substitute the 120 million base pairs. Or in 10 million years (twice the time since the chimp/human common ancestor is alleged to have lived), only 1667 substitutions could occur, or 0.001% of the difference. There has simply been insufficient time for ape–like creatures to turn into humans. And this understates the problem by assuming perfect efficiency of natural selection and ignoring deleterious processes like inbreeding and genetic drift, as well as problems posed by pleiotropy (one gene controlling more than one characteristic) and polygeny (more than one gene controlling one characteristic)—most real genes. See W.J. 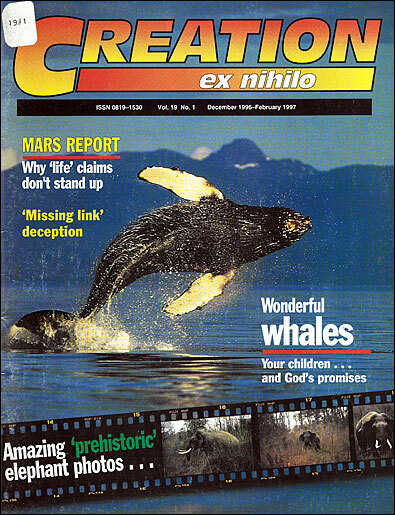 ReMine, The Biotic Message (St. Paul Science, St. Paul, Minnesota, 1993), pp. 215–217. Return to text.